The Centre for Financial Studies at the University of New Brunswick will be hosting the Futures Atlantic Symposium this Friday, Nov. 4, an afternoon of investment career training and employment opportunities for students across Atlantic Canada interested in careers in finance and investment. 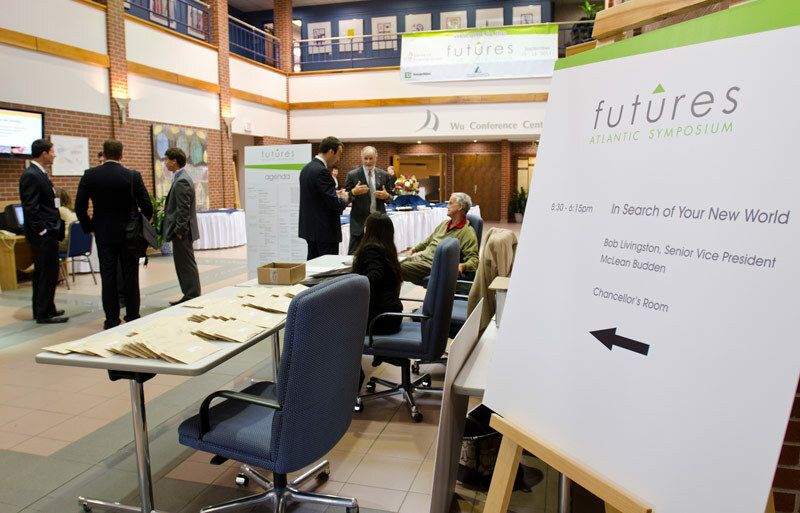 The Futures Atlantic Symposium will be held at the Wu Conference Centre on the University of New Brunswick Fredericton campus starting at 1 p.m. and offers a half day of intense financial education, professional development and on-the-spot interviews with national firms. Students will network with investment professionals and learn what it takes to get into the industry. Students from across the region are expected to be on hand for the symposium, sponsored by Burgundy Asset Management and the Cundill Foundation. “This event is all about creating opportunities in the investment industry for Atlantic-based students, who we know are as competitive as students from anywhere,” says Glenn Cleland, director of the UNB Centre for Financial Studies. Speakers include senior level executives in the industry such as Mike Boyd, managing director and head of mergers and acquisitions, CIBC Capital Markets; Bob Livingston, vice-president, CIBC Wealth Management; Tom Liston, managing partner, Difference Capital; and Don Wishart, president, Seamark Asset Management. The symposium is also open to investment firms looking to recruit top talent from Atlantic Canada and investment educators interested in learning about current trends in the industry. Recruiters from a wide variety of firms, including Burgundy Asset Management, TD Securities and CIBC Capital Markets, will be on hand. The Centre for Financial Studies, housed within the Faculty of Business Administration at UNB’s Fredericton campus, assists students who want to get into the investment industry. Register now or contact Glenn Cleland for more information.